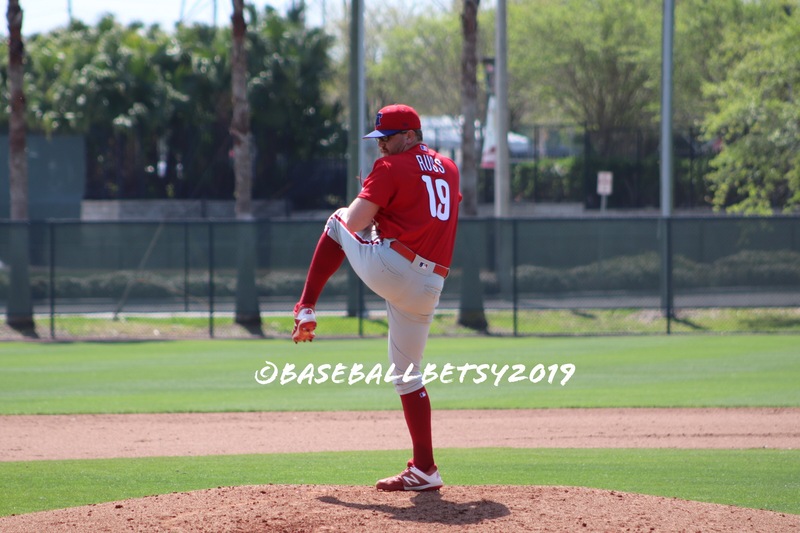 The Phillies minor league spring training season kicked off a 13-game schedule with the AA team downing their Pirates counterparts 2-1 in an interesting game on Ashburn Field at the Carpenter Complex. Strong pitching and timely hitting were the keys to the Phillies win. Starter David Parkinson was strong in his debut. He struck out two and had excellent control and command to kick off the spring training game season. Watch HERE. The Pirates did push the first across a run in the fourth inning off Alejandro Requena. One of the most impressive hitter in the Phillies lineup was outfielder Ben Aklinski . He lined a homer over the left-center field fence to tie up the game 1-1 in the sixth inning. The Phillies went ahead 2-1 in the seventh. Also watch shortstop Nick Maton base hit, HERE. Still, the key in the game was the shutdown pitching protecting a one run lead by Addison Russ and Zach Warren. Watch a Russ strikeout HERE and three Warren strikeouts HERE. Most of these players will end up either at AA Reading or high A Clearwater this season. 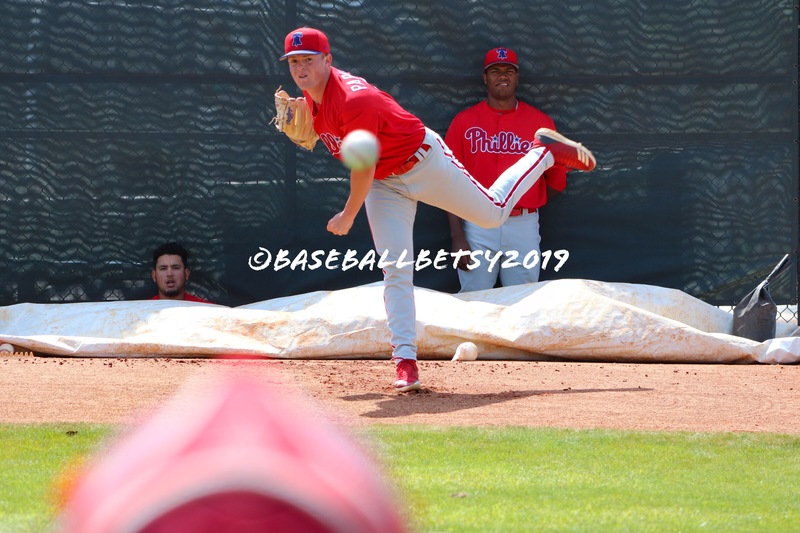 Aklinski ended 2018 season with Williamsport. Russ and Parkinson finished up with Clearwater while Maton and Warren played the entire season with Lakewood. 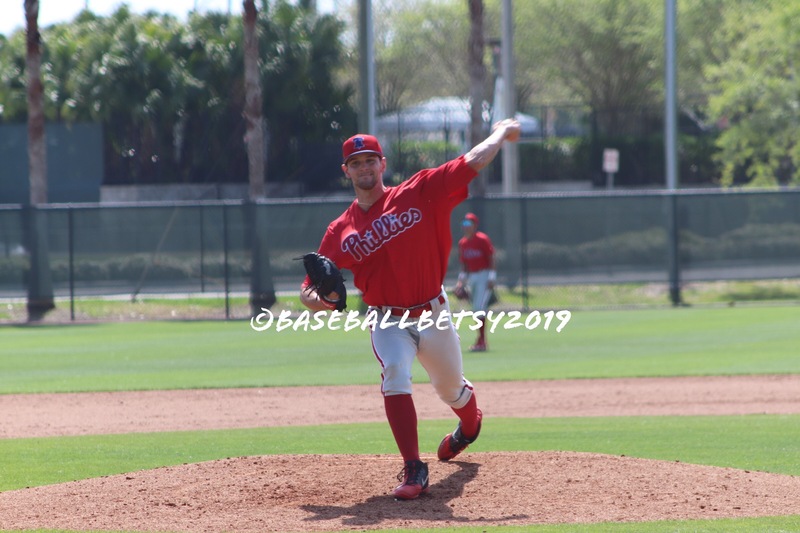 This entry was posted in 2019, March and tagged Addison Russ, Ben Aklinski, David Parkinson, Nick Maton, Philadelphia Phillies, Phillies 2019 minor league spring training, Zach Warren. Bookmark the permalink.